Your gear can make or break your trip or outing. We know how important each piece is, so we’ve tried and tested all the hires (rentals) we offer. Any piece of gear we select and make available to you has accompanied us on a variety of adventures. We stand by our gear, and believe you’ll enjoy our hire selection as much as we do. All our gear is with the human-powered adventurer in mind. This means that it is made of high quality and durable materials to withstand whatever abuse or elements you may encounter. It is typically lightweight, and packable. Additionally, we strive to find gear that offers multiple uses, to reduce weight and wasted space. Our extensive rental fleet ensures that you have the best possible backcountry experience. 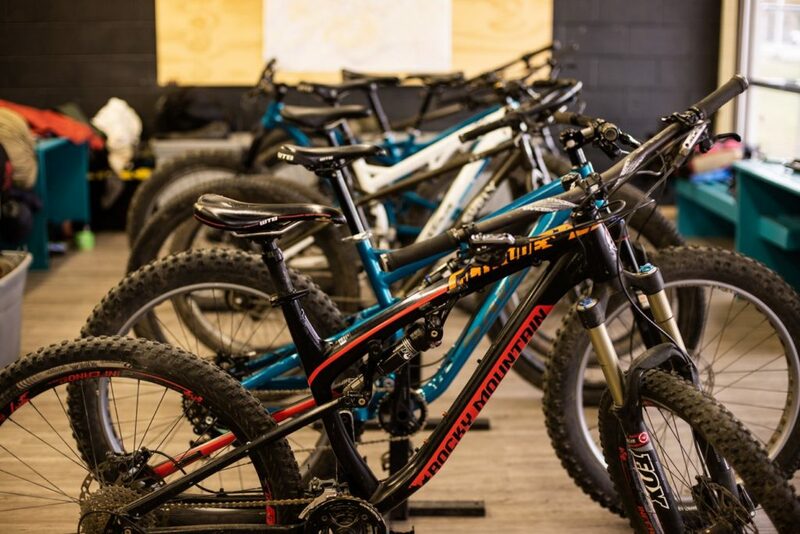 Hires include: bikes, camping kits, climbing gear, and more. All you need to remember is your toothbrush! Being located at the base of the Abajos, and with neighboring proximity to the La Sal’s, San Juans, and more we’ve brought on backcountry and cross country demos and hires to meet your needs. 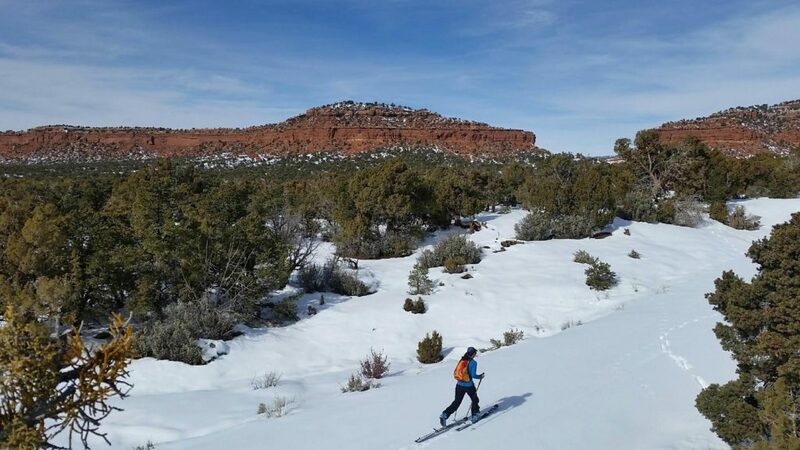 We currently offer cross country ski kits. These include: skis, boots, and poles. This season on demo we have a select number of Dynafit 88 with Radical ST bindings. On demo we also have the Dynafit Speedfit boot. For safe backcountry access, we also hire beacon kits. These kits include: a beacon, probe, and shovel. The Surly ECR with Rohloff we have in stock are guaranteed to enhance your bikepacking experience. If you’re looking for something to provide a little more “technical” assistance, we invite you to jump on one of our Salsa Bucksaws with 2+” tires and full suspension. With bikepacking being the backbone of our guiding operations, we felt it only appropriate to offer a smattering of brands, styles, and types of bikebags. 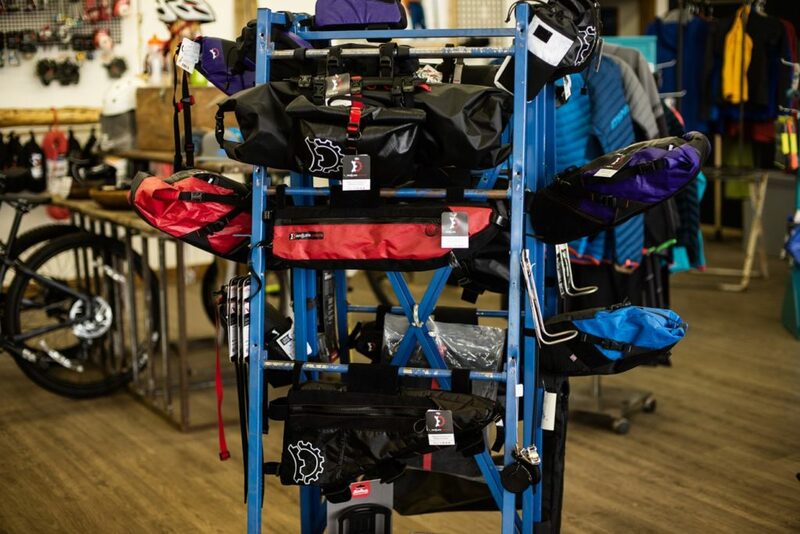 We strive to have complete bikebag (and cage) systems that work to equip any bike that comes through our doors. 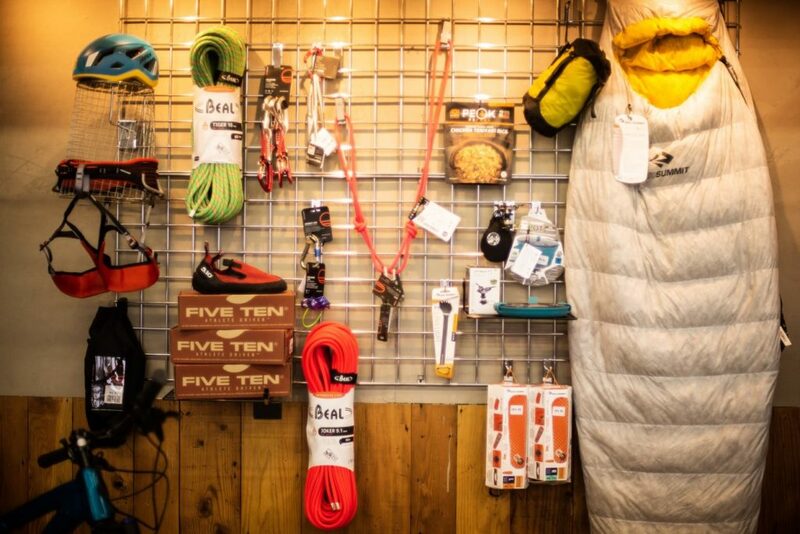 Brands we feature include: Revelate, Bedrock, Rockgeist, Broadfork, Wildcat, and Oveja Negra. Our camp kits include: sleeping kits, shelter, and mess kits. For sleeping kits we feature Sea to Summit’s quilts, pads, and pillows. For shelters we offer Big Agnes Bar Fly, Black Diamond pole shelter, as well as tarp and bivy bag options. 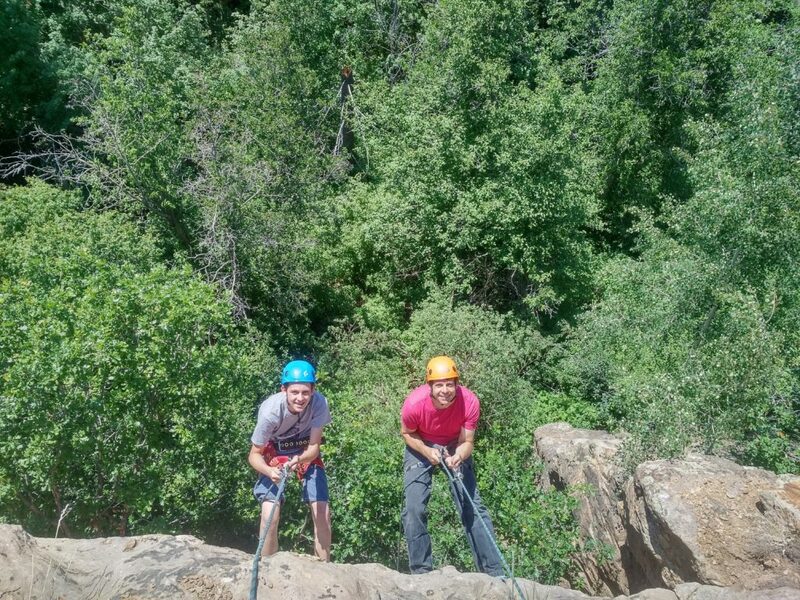 Our climbing rentals include: helmets, harnesses, ATC/belay devices, and shoes.